We met Michael and Michelle from Kansas City Live, KSHB TV 41, in an exciting experience in the world of live television. These two are amazingly smooth and congenial. The segment we did was called ART ATTACK and had one hour to create a piece of artwork which is then donated to a local charity. 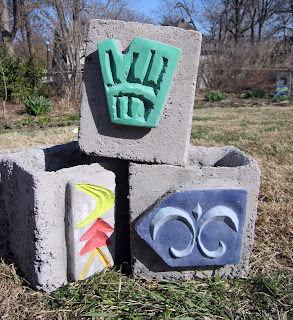 Of course the medium was concrete and hypertufa and in one hour we created this sculptural stele. We donated it to Save Inc.-KC. This caring organization provides comprehensive housing solutions to emposwer socially and medically disadvantaged people to improve their health and lead stable lives with personal dignity. 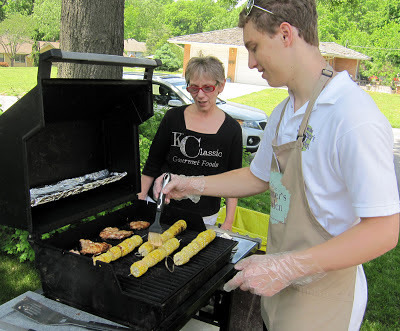 www.saveinckc.org . Amy, from Save Inc., accepted the donation titled, PEACE OF MIND, and plans to raffle it off at an upcoming fund-raising event. 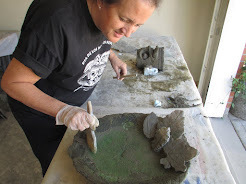 How did we get wet cement and tufa to set so quickly? Easy...we made two complete sculptures, one in the pic above, several days ago and a new one on the show. 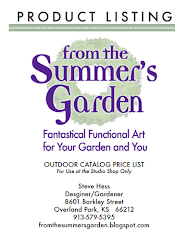 Thanks to customer Lizza, a friend of Michael's, for suggesting From the Summer's Garden for this show. It's a fitting end to our PEACE ON MY PORCH sales event. The sun will be out, the days pleasant and the garden is bursting with blooms. This time of year is bittersweet when it comes to our studio assistants at From the Summer's Garden. 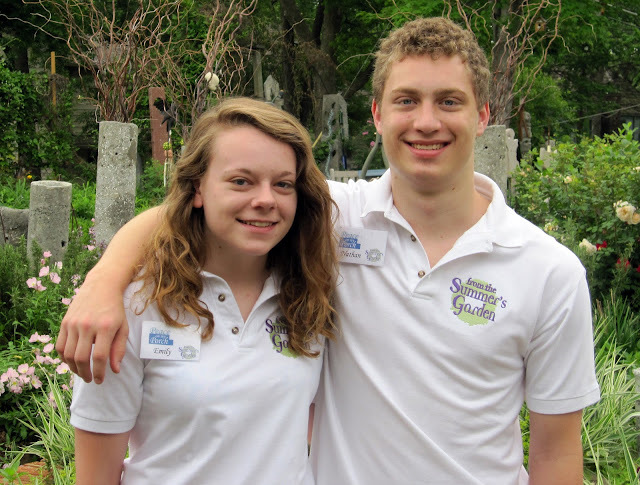 Both Emily and Nathan have worked here for four years and it is going to be hard having them leave us this coming summer. They are both starting exciting new chapters in their lives and we are very fortunate to have benefited from their sklills, their dedication and from knowing them as fine individuals. Emily and Nathan, Laurie and I thank you heartily and wish you success and happiness in your future endeavors. 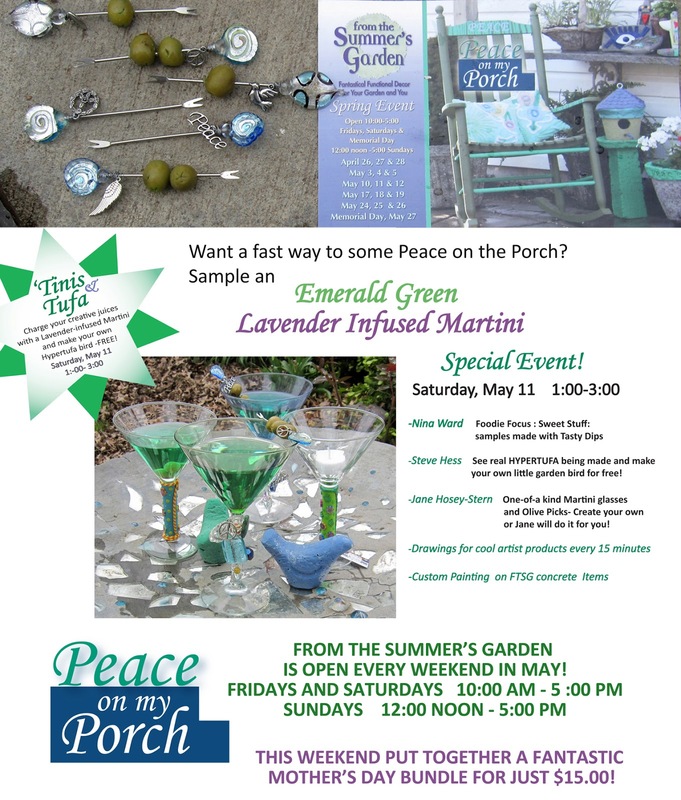 Because we had a snowy start for PEACE ON MY PORCH, we've moved the final weekend to Friday, May 31, Saturday, June 1 and Sunday, June 2. One last time to check out everyting at our spring sale event. Remember you can always stop by the studio to shop, Thursday through Sunday of every week. Just give Steve a call at 913-579-5395 to let him know when you are coming. 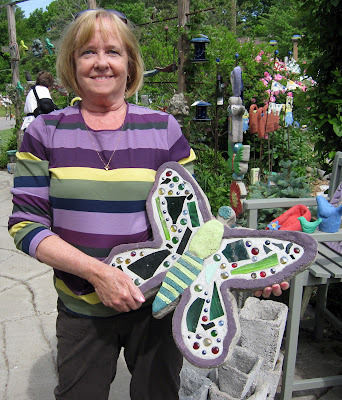 Don't forget to sign up for one of our Summer Creative Workshops, Hypertufa Studios and Handmade Paper Studio running June through September. For details and available times, see workshop and studio headings to the right of this page. If you come to the final weekend of PEACE ON MY PORCH and enroll in a Studio or Creative Workshop, you wil receive a 15% discount on the classs fee! This makes it easy for you and your freinds to signup together. 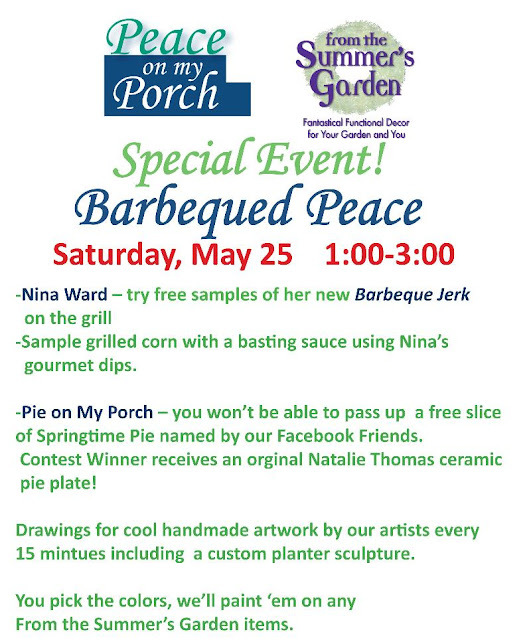 BARBEQUE, PRIZES, PIE AND PEACE....WHATTA DAY! Natalie made unique deep dish pie plates just for Peace on My Porch. She served Clouds and Sunshine Pie with a big smile during our special event. Nathan slathers a thick coating of Chipolte Cheese Dip basting sauce on roasted corn. 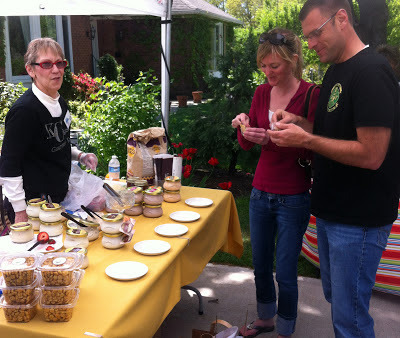 Nina from KC Classic Gourmet Foods sampled her selection of delicious dips and her new Barbeque Jerk sauce.
" I found the perfect stone to match my outfit!" Robert won the grand prize garden sculpture. 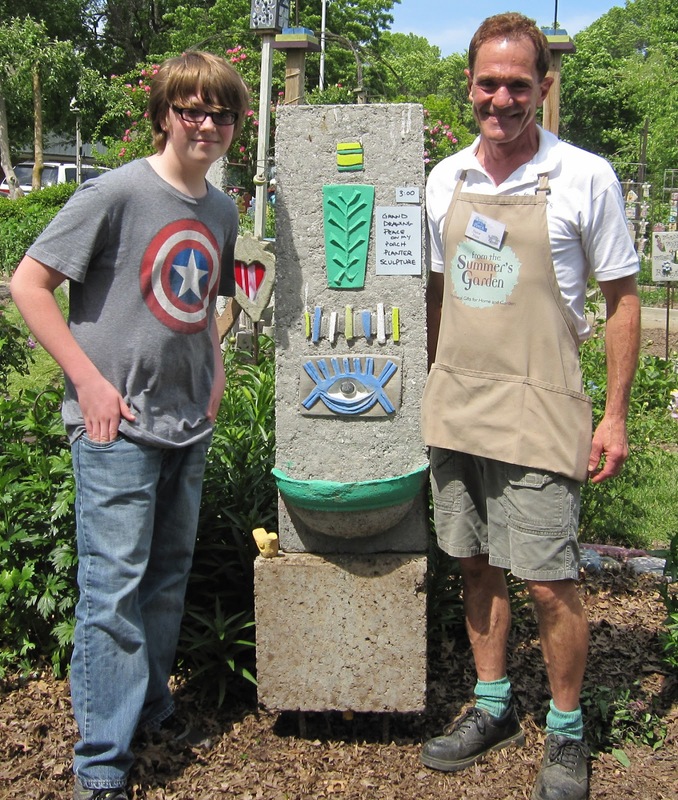 It is exciting to see so many younger people interested in gardening! Presenting CLOUDS AND SUNSHINE PIE! 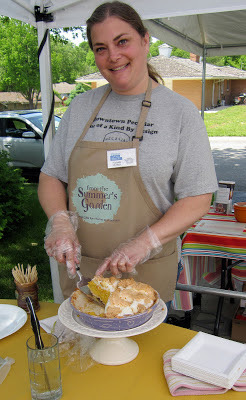 Facebook friend, Elaine, is the winner of the Natalie Thomas pie plate for creatively naming our springtime pie!. 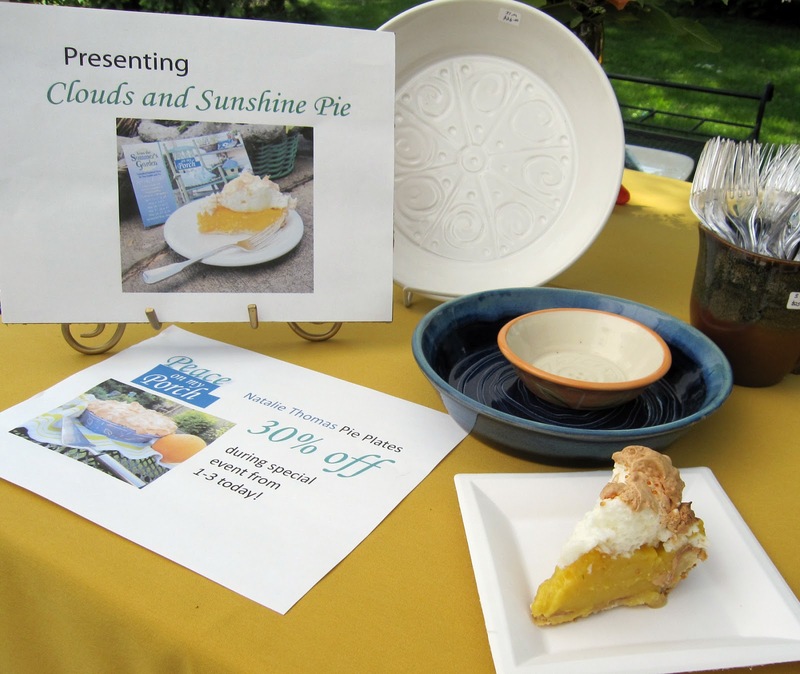 Her winning entry, CLOUDS AND SUNSHINE PIE, perfectly describes this luscious dessert. 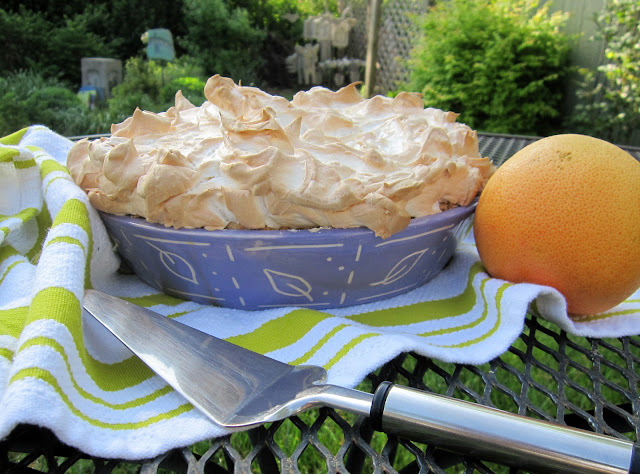 The rich golden filling is created by mixing the the flavors of lemons, grapefruit and lime. The surprise is the inclusion of water infused with lemon balm, lavendar and bergamot; truly a taste of the spring time garden. 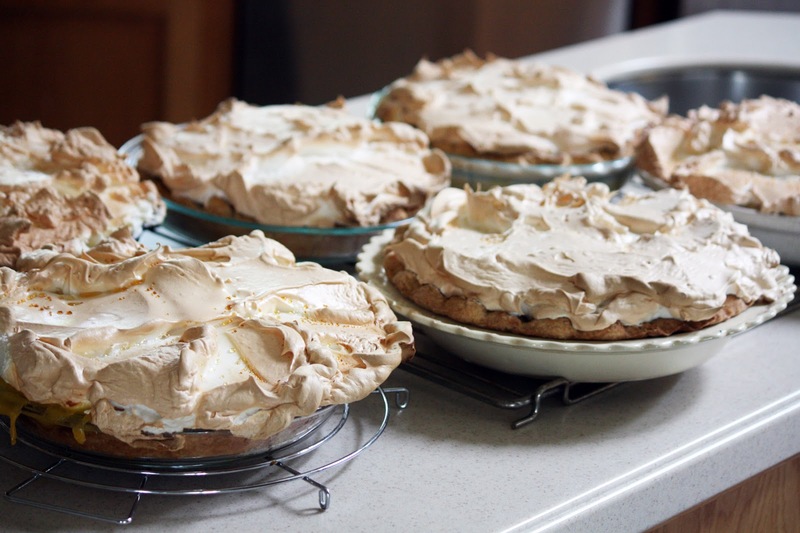 The filling is topped with light fluffy meringue clouds. Paper, dear friends, is an awesome garden material. At From the Summer’s Garden, recycled paper is a key ingredient in many of our projects, including concrete and hypertufa. We make beautiful handmade papers from recycled paper. 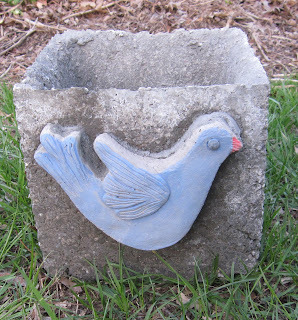 We make garden herbs and flowers and cast paper pulp in handmade molds as ornaments, garlands and three-dimensional decorations. We use out paper to make one-of-a-kind paper bowls like these from our blog. 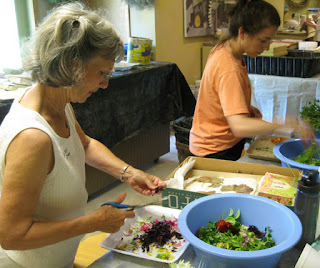 And we offer fantastic handmade paper-making studio experiences. 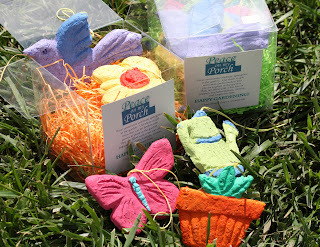 Seed ornaments: For our spring sale event, Peace on My Porch, we have a colorful new set of seed ornaments. These are hand cast paper pulp ornaments containing seeds. You can use them as decoration, trims on gifts or you can break them up and plant them to grow real flowers that are sure to be just as colorful! They come packaged in a snazzy box or bag that is a great gift in itself. New this year is Jack and the Beanstalk, A Garden Activity. 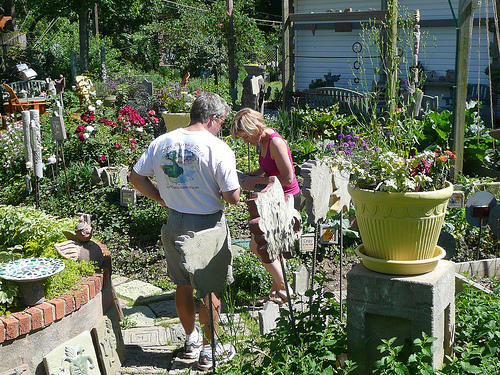 It features an updated modern version of the classic fairy tail in gardening terms. My fellow artist Paula Hayek and I collaborated on this effort. On the cover of the story is a little cast paper watering can. 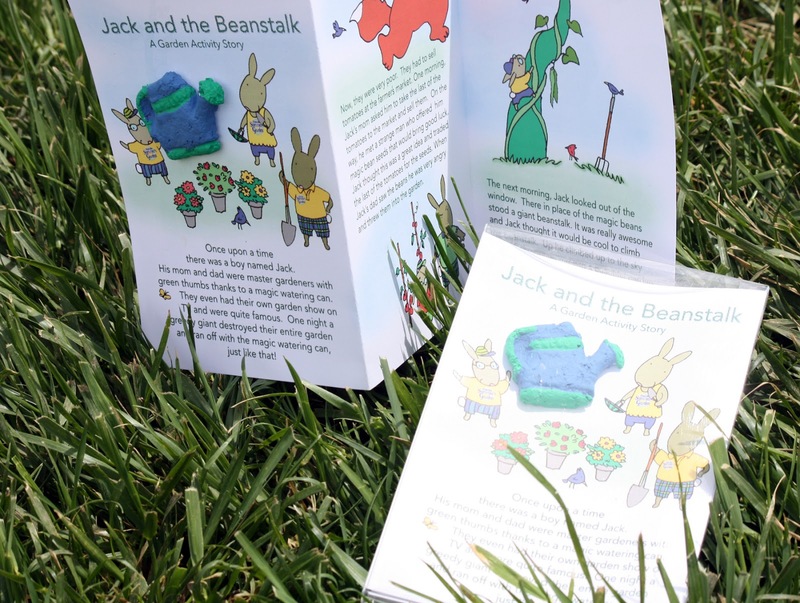 After the story, there’s instructions telling you how to plant the magic watering can to grow your own beanstalk. The watering can contains Castor Bean and Hyacinth Bean seeds that germinate quickly and grow tall and high to delight gardeners of all ages. It comes packaged in a clear acetate box – another unique gift idea at the Peace on My Porch sales event. From the Summer’s Garden offers a Handmade Paper-Making Studio for anyone interested in learning how to make recycled handmade paper and to make a mold for casting paper pulp. 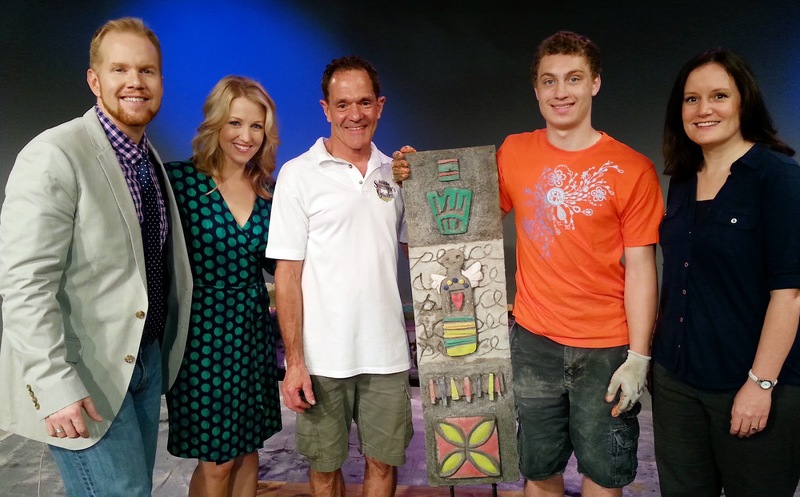 Here are some examples of what you can make in the handmade paper-making Studio. Get started today by making plans to attend Peace on My Porch this weekend (hint: pie and barbecue!) and mark your calendar for our next studio experience. Everyone celebrating a graduation – including a student, an adult who has gone back to school, someone sending a child off to college or a favorite teacher who made it all happen -- deserves a special day. Garden gift ideas are abundant at From The Summer’s Garden. Let us tell you about a few. 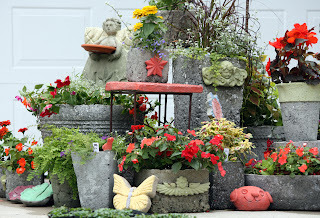 We have so many truly unique planting containers that you really must come and see them for yourself. 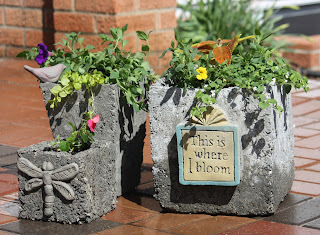 We have box planters, urns and pots of all sizes made from that fabulous material hypertufa. 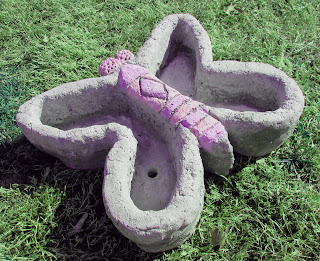 Our hypertufa pots and planters come in all shapes and sizes and with all sorts of creative adornments. The wonderful thing about pots and planter boxes is that they can be easily moved around to add zest to new parts of the garden. We also have a great selection of hanging containers. 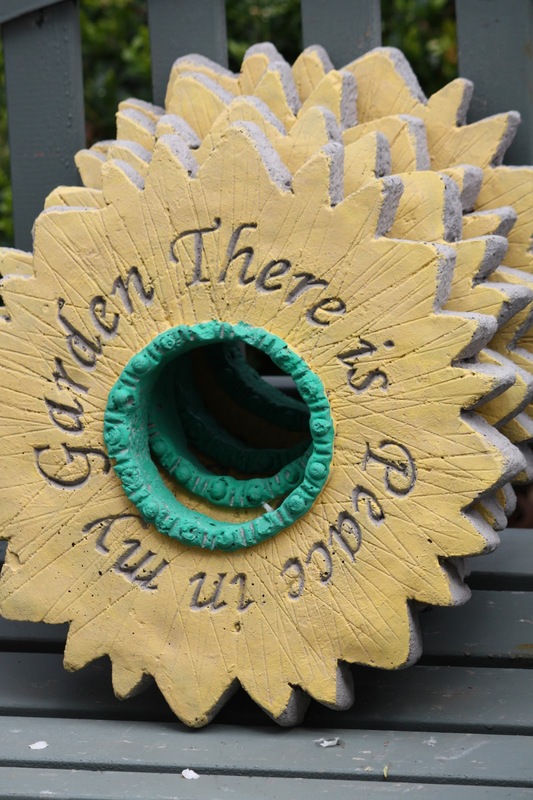 Another unique graduation garden gift idea is to give a piece of garden artwork. 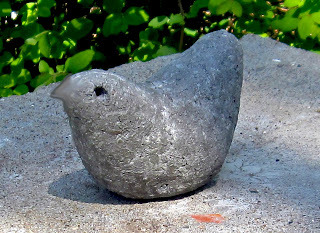 We have an interesting selection of garden stabilizers – sculptures with parts that sway with the breeze – and they come in a variety of sizes. 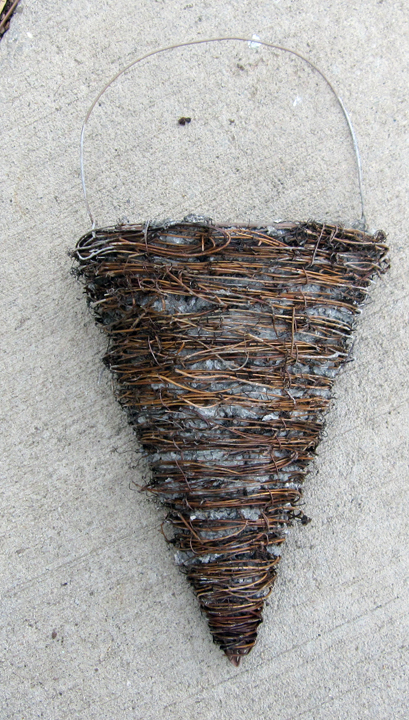 A bottle trellis is another fun way to bring visual interest to the garden. These can be free standing or mounted to the wall. Those who recycle will LOVE a trellis like this. 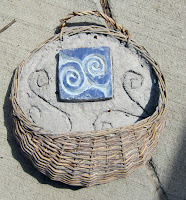 Or consider a fun garden plaque. Our concrete garden plaques can be purchased individually, or as a set. You can even choose the color palette that matches your mood and a design that speaks to you about this special moment. 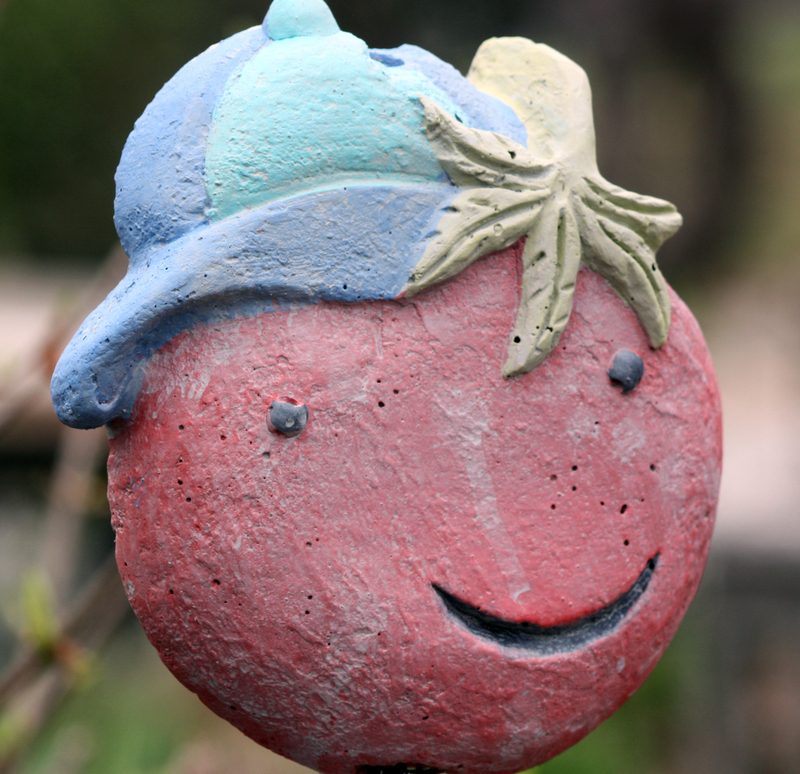 Garden stakes are also very popular. 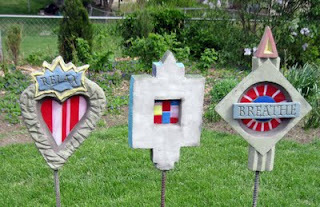 You need to see our angels, crosses and even holiday-themed stakes to see what fun can be had year-round in the garden. We even have Alphastones which can spell out a graduate’s new address, an inspiring note or many other phrases to mark this milestone event. 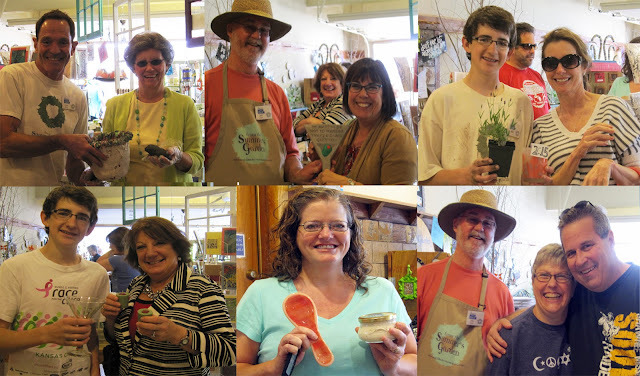 Why not give the gift of a class at From The Summer’s Garden to commemorate a new beginning. 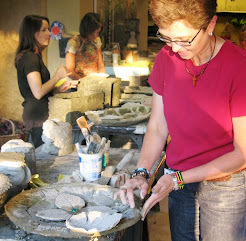 We offer classes in hypertufa to design your own pots, garden memorial stones, stakes or garden stones. Check out our website, our blogspot or give us a call and come by in person – just don’t wait too long. Great inspiration at the Spring Sale "Peace On My Porch" is only happening through the first week of June! TINIS AND TUFA IN THE BRIGHT SUNSHINE! 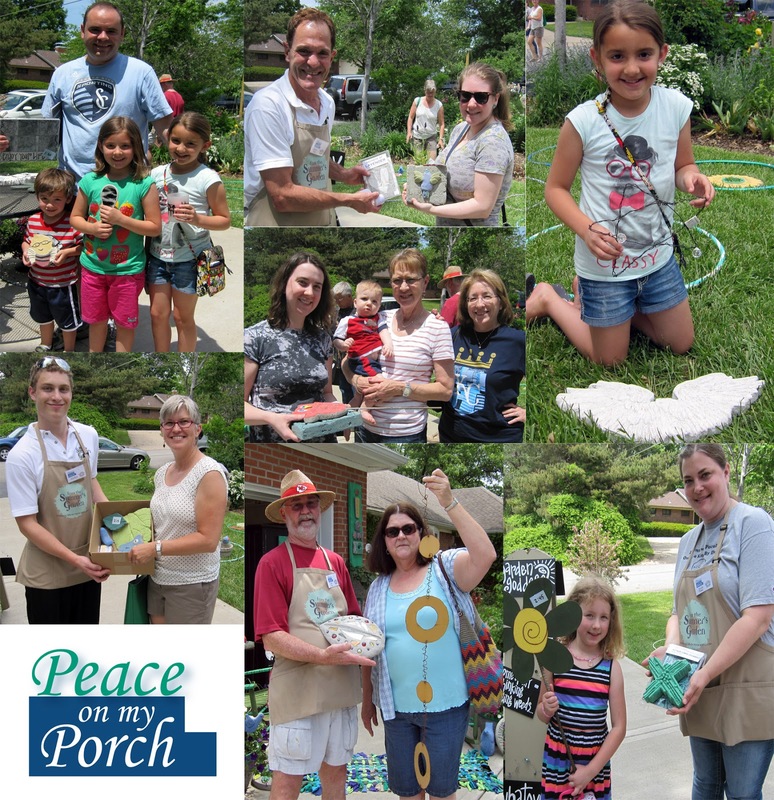 All was well with the world as we celebrated Tinis and Tufa, our special event, at Peace on My Porch.Those who put their names in the basket won artwork made by our artists every 15 minutes. You could get your hands dirty making your own bird sculpture from Hypertufa and a chance to see us mixing this wondrous material. Take a look at our line-up of Studios and Creative Workshops for the summer. Laurie got a good workout shaking the martinis. We found an article that suggested shaking a full 2 mintues rather than the typical 30 seconds. It really does improve the overall flavor of the cocktail....but oh so cold on the hands! Nina featured samples of her KC Gourmet dips and her new cracker snacks. 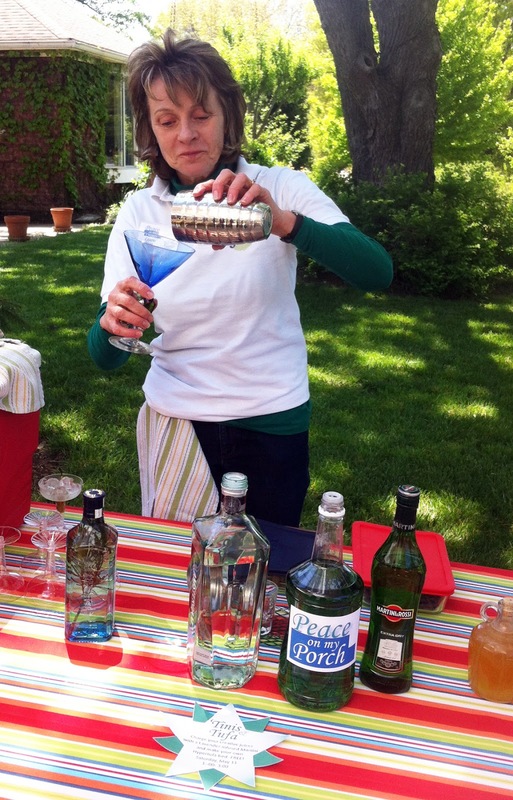 Jane Hosey-Stern created custom jeweled martini glasses. 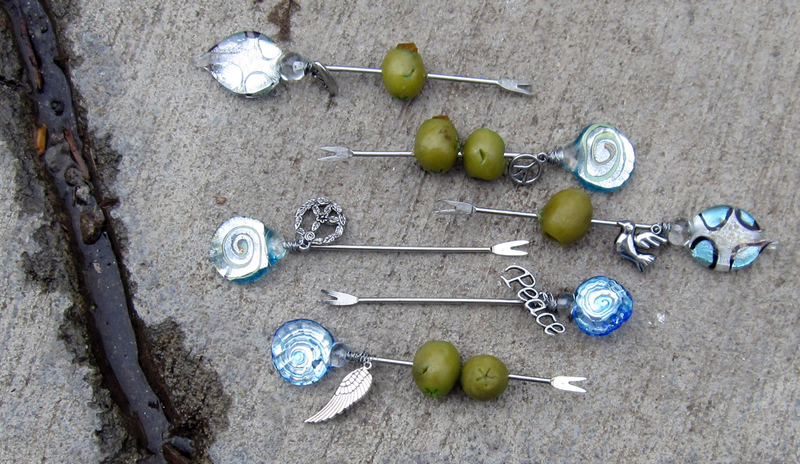 Here is the set of olive garnish picks she made for me.....Awesome! There's plenty of time for you to visit From the Summer's Garden to experience Peace on My Porch. You'll find great ideas to make your garden your own sense of place. 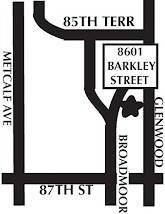 We're open 10:00 - 5:00, Fridays, Saturdays and Sundays every weekend in May and the first weekend in June. WHAT'S TINIS & TUFA? MARTINIS AND HYPERTUFA, OF COURSE! What’s hot in herb gardens and edible plants this year? Forget mint or parsley (that’s so 2012). A recent Wall Street Journal article says trendy gardeners are way beyond rosemary, basil and dill in the garden … and moving into potted herbs and herb beds with exotic names and unusual flavors. Some of the new herbs on the garden herb scene are lemon balm, papalo and the delicious sounding chocolate mint. Not only are garden herbs attractive, fun and tasty, they’re cost efficient. You can mix garden herbs into attractive and clever pots, and disperse whimsical garden stakes in between. Some of the trendy herbs this year for KC gardeners, like calendula, can be grown in pots and used for a relaxing bath. Bronze fennel has a fern-ish appearance that’s nice to gaze upon, nice in dressings and recipes and makes an appealing new home for butterflies in your garden. Invite friends to brunch or tea and tuna sandwiches, complete with fresh, crunchy sprigs from your potted lovage – a crisp, celery-like taste. If you like grilling fish, try chervil, which is said to resemble anise. A small bunch of lemon balm can be squeezed and placed into the bottom of a pitcher to infuse regular water with a light and wonderful taste. Herbs get newbies going: Another fun element of garden herbs to note: you can introduce yourself, or a friend or family member, particularly children – to the glory of having a garden through a few simple herb pots. The experience of harvesting a few fresh leaves for tea or recipes is often enough to give someone the garden fever that could last a lifetime. 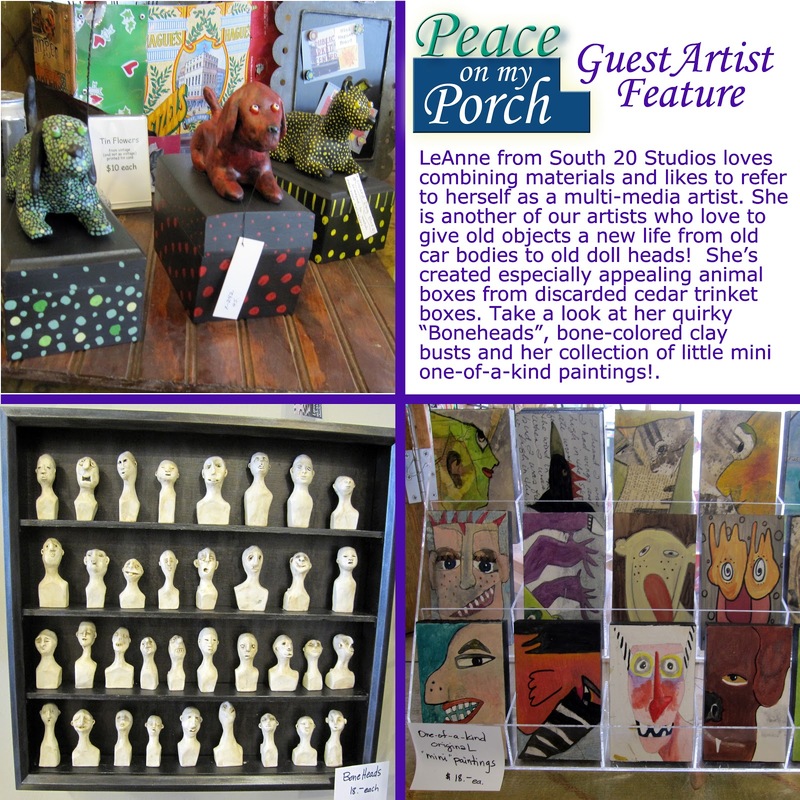 If you have a small space, or are looking to add some peace to your porch (our theme this year for the annual Spring Sale! ), garden herbs are perfect. A small square is enough to get numerous varieties going, and you can be creative on mixing them up. You can place varieties together in creative containers according to purpose – like mint and stevia for a quick grab for tea. Herb gardens are delicious, creative and easy – and a fabulous way to serve up inviting conversations, beverages and dishes from your own porch this summer to neighbors. 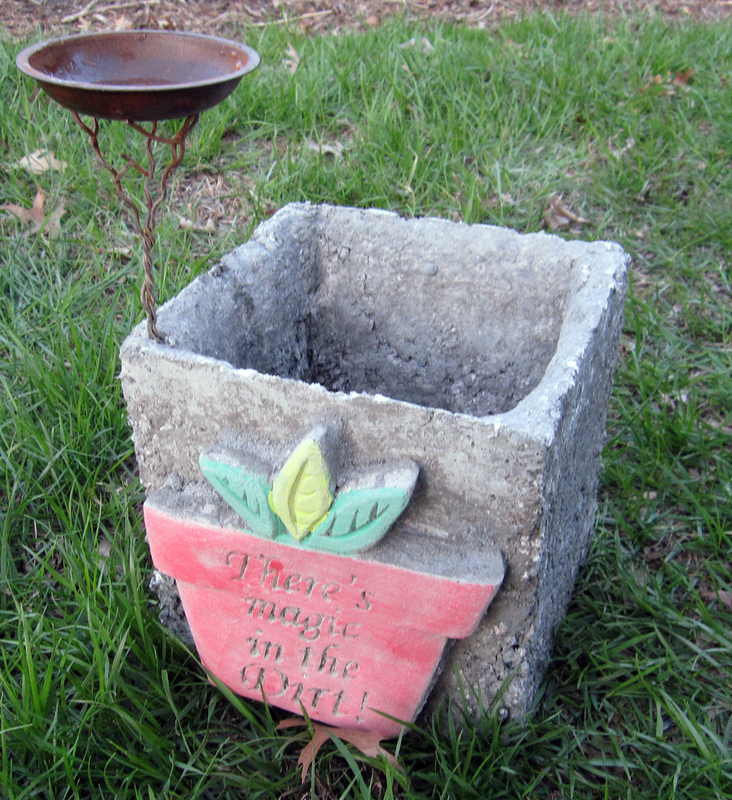 Check out these clever garden stake and container ideas at From the Summer’s Garden, and come browse the selection from KC artists at the Spring Sale weekends, now through May 26! Karen Skillett, long-time From the Summer's Garden guest artist, got at least some of her design genes from her dad, Dale Henning. 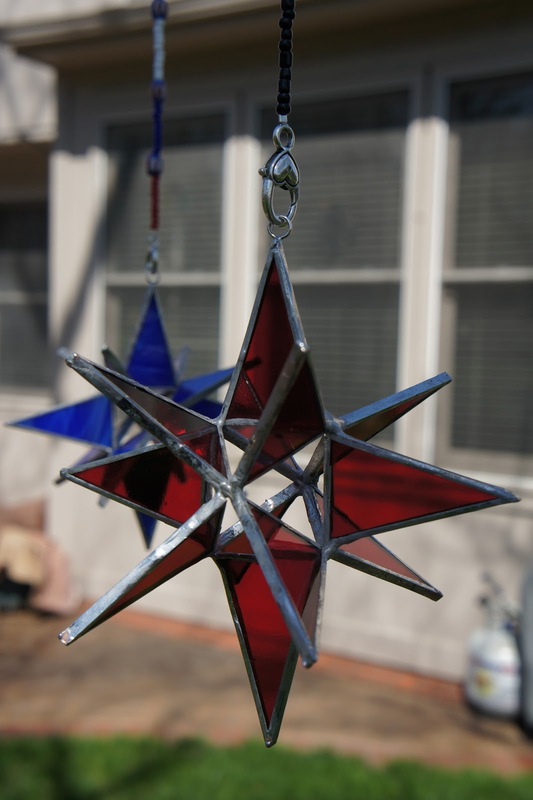 We are featuring Dale's dimensional stained glass stars and mobiles this spring at Peace on My Porch. What is interesting is that Dale did not get started making his artwork until age 80. His love of color and repetition is evident in each hand-made piece he creates. I think Dale's free-form mobiles are especially intriguing, an interesting counter-balance to the order and precision of his exquisite glass stars. 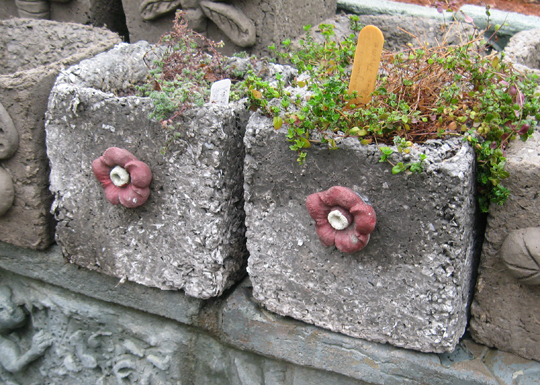 We have a nice variety of HYPERTUFA containers available at From the Summer's Garden. Hypertufa containers are lighter than heavy concrete or ceramic planters. They also breathe and can stay outside year-round. 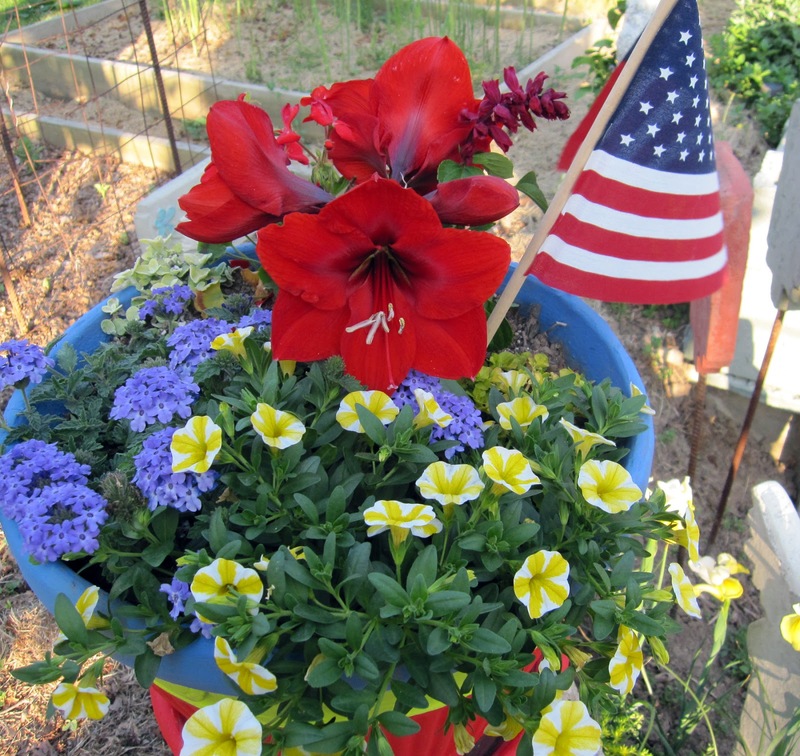 Now is an opportune time to start thinking about your containers for the upcoming growing season. Keep the rhyming planting rule in mind when you design your containers with Thrillers, Fillers and Spillers. Thrillers grow upright, tall and command attention. Place these in the center of your container plan. Next come the Fillers which make a dramatic transition from the Thriller to the Spiller. They can be the same thing or offer a vairety of color and texture. Finish off your container with Spillers. 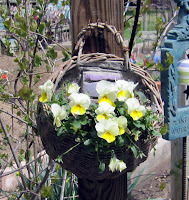 These offer interest at the edge of and below your container, vining around and trailing downward. These tufa boxes have an optional mini-bird bath that fits into a corner. 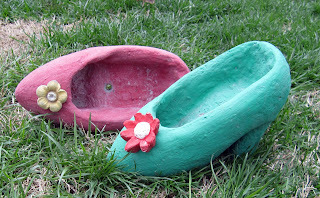 Step out in style with a high heel container! These three offer different options for hanging containers. 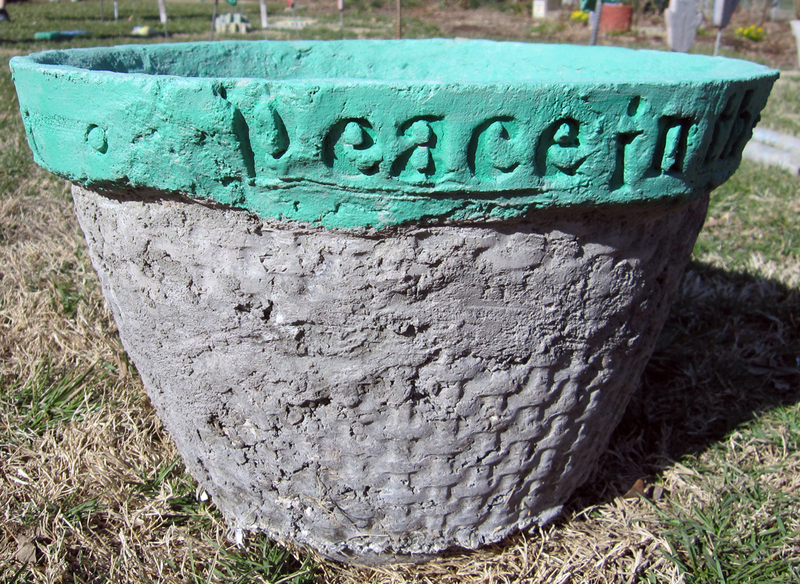 The "big boy" has "Peace in the Garden" stamped around the outside rim. These box planters coordinate with our UNITS wall sculptures.